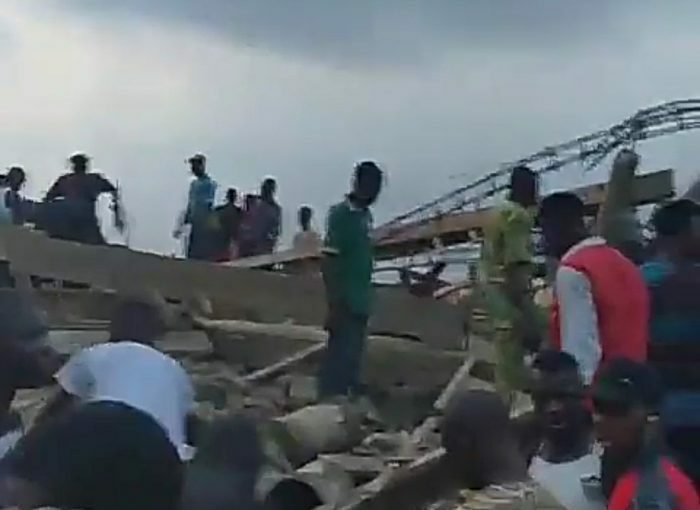 The Oyo State Government has said that no life was lost in the building that collapsed at the Shogoye area of Ibadan, on Friday. This is contained in a statement signed by Mr Toye Arulogoun, the State Commissioner for Information, Culture and Tourism, a copy of which was made available to the News Agency of Nigeria (NAN), on Saturda,y In Ibadan. NAN recalls that a three-storey building, which is still under construction, collapsed on Friday evening at the Shogoye area of the city, trapping scores of workers at the site. The statement said that the multi-agency rescue operation team, set up by Gov. Abiola Ajimobi, was able to achieve the evacuation of all victims from the collapsed building. It noted that the injured, who are in stable condition, had been taken to the hospital, while no death was recorded. “The team was able to rescue the two victims trapped in the rubble of the collapsed building, as three were initially rescued manually. “No fatality was recorded in the rescue operation which ended at 3.45 a.m., today,” it said. The statement said that investigation into the incident would be carried out by the relevant agencies. It admonished building construction practitioners to desist from cutting corners and using cheap materials. The statement reiterated the importance of adhering to approved building plans to avoid the collapse of structures.